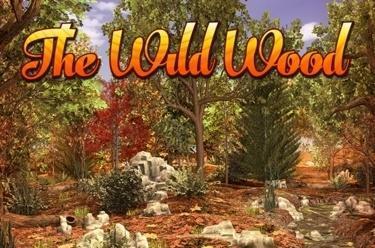 Play The Wild Wood online for free now! A walk through the forest can be refreshing and lucrative all at once: In The Wild Wood, you’re off to gather mushrooms and chestnuts, pick bell flowers and perhaps even see a few denizens of the wood. If you wait until night has fallen, you’ll be rewarded with rare Twist-sightings: When night blankets the forest, winnings will rush out of the undergrowth! 5 identical symbols on one of the 10 from left to right running win lines – that’s your goal in The Wild Wood. The ‘Wild Wood’ symbol helps you out: It substitutes for all symbols except Scatter and so increases your winning chances. It also doubles you lines win, when it is part of you winning combination. If the ‘Scatter’ symbol fall on any reel position 3, 4 or 5 times at the same time, it’ll turn into a Joker symbol. It also triggers 16 free games! Spin up 3, 4 or 5 ‘Scatter’ symbols on any reel position and you’ll receive 16 free games, which are played at trigger stake. During the free games, the ‘Scatter’ symbol also functions as a Joker: It can substitute for all other symbols and increase your chances of winning. 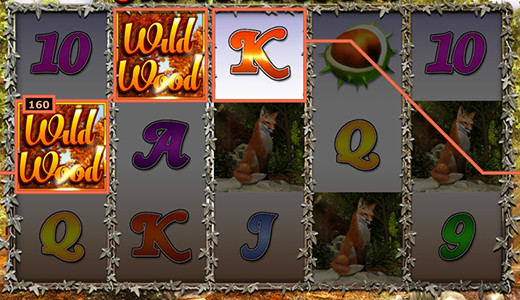 If the ‘Scatter’ of ‘Wild Wood’ symbol is part of a winning combination, your winnings will be doubled. You can win more free games during the free games by landing 3, 4 or 5 ‘Scatter’ symbols at the same time.